The Centre for Life in Newcastle is an organization that seeks to foster advanced studies and research in the life sciences. This 'science village' is a regional initiative that is based on a not-for-profit model for research in the areas of bioscience. 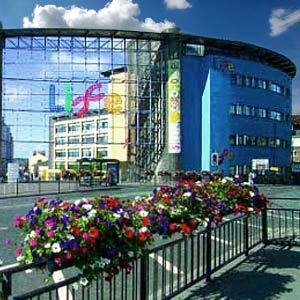 The Centre for Life in Newcastle was founded in 1996 and conducts fundamental research into understanding the role of genes in our health and disease. The Centre for Life in Newcastle is poised to put the city on the world map as the leader in therapeutic cloning research. It has gained a license to expand its research and development facilities. The Newcastle Technopolis, as it is called, will be housed in the area between the Redheugh Bridge and the King Edward Bridge and bounding the north bank of the River Tyne. It is estimated that the structural work would take about 5 to 10 years to complete but would be instrumental in making Newcastle as the pioneering area in stem cloning research. The Life Science Centre is an innovative exhibition that throws light on the origins of life, DNA and the human body. This Centre has been making considerable inroads into educating people and kids in an interesting manner. The Life Knowledge Park is an inter-disciplinary research centre that aims at bringing about fundamental improvements in human health. This laboratory facility has initiated research into genomic instability.